I talked with Keller inside Bankers Life Fieldhouse. He was the Pacers’ shooting coach at the time, a job he loved, but one taken from him a few years later. That really disappointed him, and proved once again how harsh the sports world can be. Before that, Keller had a nearly idyllic career in basketball. He led Washington High School to the state championship in 1965, and was named Mr. Basketball. 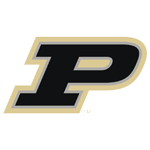 He helped lead Purdue to the final game of the NCAA tournament as a senior in 1969, and was the first winner of the Naismith Award, which goes to the best player in the country under 6-foot tall. 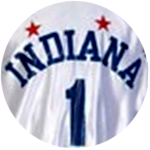 He was a longshot to make the Pacers as a seventh-round draft pick, but lasted seven seasons before a knee injury ended his career. He played on all three ABA championship teams, a claim only he, Mel Daniels, Roger Brown and Freddie Lewis can make. Keller still stands as one of the most popular Pacers of all time, partly because he was local, partly because he was short and partly because he was so friendly. He had a lot of endorsements, most notably for the American Dairy Association, and someone even wrote a song about him, “The Ballad of Billy Keller.” You can hear it by clicking below. 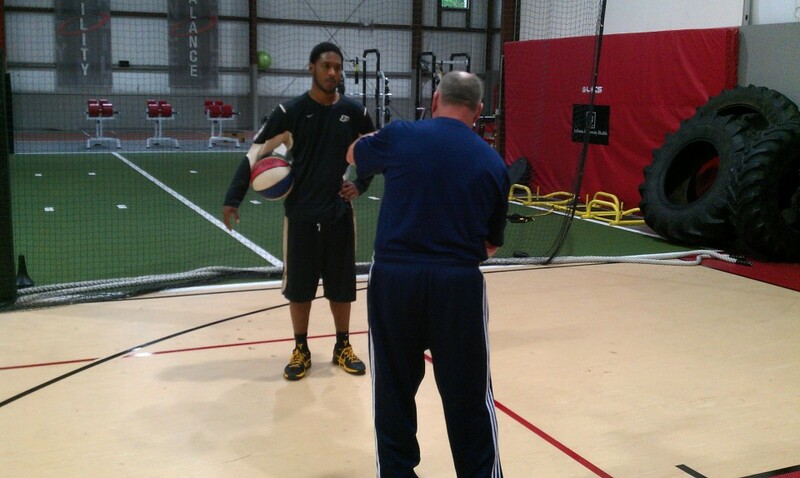 Keller with former Purdue guard Terone Johnson in a private tutoring session. He coached after that, as the head coach at Brebeuf Prep and Indiana Central, and then segued into a career as a camp director and shooting instructor. It seemed natural for a guy who had been a great shooter, the best three-point shooter the ABA Pacers ever had, one who once hit nine three-pointers in a game and could have had 11 if not for the fact one came a split-second after the buzzer and another didn’t count because he was ruled out of bounds. Keller’s trademarks were maturity and unselfishness. He sacrificed scoring at Purdue so Rick Mount could average his 30-plus, and found a way to fit in with star-studded Pacers teams, too. He’s one of the more upbeat people you’ll ever meet. Self-motivated, too, as you’ll learn from this episode. I mean, who else would practice defensive slides in his parents’ basement, and bar-tend one summer during his playing career, just for the fun of it? Click here for a story on Keller published in Gold and Black Illustrated.